As a caregiver, respite provides us with a break when caring for someone with significant physical, intellectual, cognitive, emotional, mental and/or medical needs. Respite can be provided by family members, friends, volunteers or paid providers who relieve us for a period of time from our caregiving responsibilities. 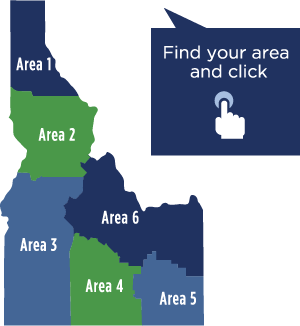 Several publicly funded respite programs exist in Idaho and we can contact our local Area Agency on Aging to learn about them. The Idaho Commission on Aging (ICOA) is working with the Idaho Caregiver Alliance, an organization of statewide stakeholders, to enhance information about and access to respite options and training. Recent efforts have helped six organizations in Idaho to initiate or expand respite services. Additionally, we can use the area map below to find the nearest Area Agency on Aging for provider information. Also to the right, “Quick Tips” and “Resources” are available to better assist us with finding reliable information and supports.